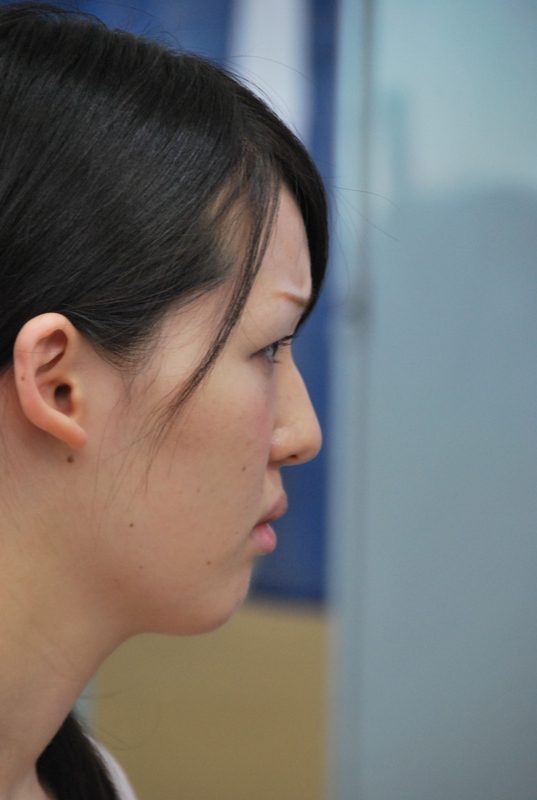 A young mother at her early twentieth with her two-month old baby was first to arrive at the Japan NGO Center for International Cooperation (JANIC) office on the third floor of a commercial building in Fukushima, her eyes revealed anxiety but obviously she was so enthusiastic to learn about how internal exposure to radiation would have on her little daughter. Later, a number of women who concerned about their children’s health also showed up at JANIC office, these women have learned from a Fukushima Central Television that a famous medical doctor from the Minamisoma City General Hospital, Dr. Masaharu Tsubokura would give his talk on “The advice of how to live in Fukushima after the accident”. These women come from Fukushima city and nearby areas such as Koriyama. Many of them do not know each other before arriving at the JANIC but they have similar concerns about their children’s well-beings which could be reflected from numbers of questions that they raised during and after the Dr. Tsubokura’s talk. Most of their questions derived from information that they have got from media, websites and friends. Their fear is not groundless given the fact about the situation of the meltdown of the Fukushima nuclear power plants, the radiation that being released into the atmosphere, water sources, forest, soil, plants and animals. Almost everyday news reports about the incident at Fukushima nuclear plants, thanks to the work of both Japanese and international media that have been reporting the incidents about how much water being released from the power plants into the ocean, a lid of an reactor was taken out and latest news was that the steel bean felt down to the spent fuel pool. The Chernobyl nuclear accident in 1986 cast its long shadow, that is why Dr. Tsubokura who normally treat leukemia patients has to start his talk from very basic information from natural and man-made grammar lays to the statistic of he has conducted the whole body count (WBC) of 7,814 adults on cesium 137 radioactivity (which has its half-life about 30 years) at Minamisoma City Hospital recently. He found the majority of 5,229 people are still doing alright with the level of 20 bq/kg (see his presentation) However, Dr. Tsubokura has not yet done other counting on radioactivity such as iodine 131. When women asked about what they can eat or not to eat, he raised an example of what people did in Belarus. He also said that buying food from supermarket is safe as there is a system to check the level of radiation contamination. Meanwhile some people who eat vegetable that grow from home garden without soil decontamination would be more at risk of the internal exposure to radiation. He also said that Japan is lucky in a sense that many different kinds of food being imported, so the level if internal exposure is not high. But this is not good in term of food security. 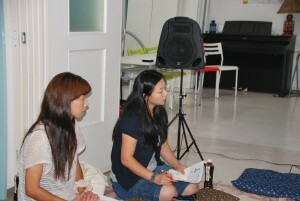 The meeting also became a forum that women came to discuss to each other. They shared their concerns and solutions to their uneasiness. For example the women shared their knowledge how to lower level of food that has been contaminated. One woman doubted if the rice that she got from her relatives would have radiation contaminated. Another woman suggested that cleaning the rice many times and that can help lower the level of the contamination. The doctor also has stimulated the women to think if they would protect their children from exposing to the radiation by not allowing them to do some exercises outdoor that could also cause other consequences such as obesity among children. Many adults could develop into heart failure and diabetes if they do not have enough exercise as well. So they really have to balance it. He also discussed with them that there are a number of research that being conducted recently about what are the elements that being spread from the cripple power plants. After the discussion many women found themselves in a relief situation, many are aware that they can handle the situation more wisely, by more careful about the food that they eat. Because the internal exposure is more critical that the external exposure. Before Dr. Tsubokura left, these women can share their laugh, still asking many questions that concern them. They are aware that knowledge is power to drive away their fear.